Hoffman Inside opening 90-Degree wireway elbow with screw cover, has 16/14-Gauge steel construction with ANSI 61 gray polyester powder paint finish for corrosion resistance and durability. It allows continuous run with 90-Degree turns and its top and inside covers are removable for easy access. 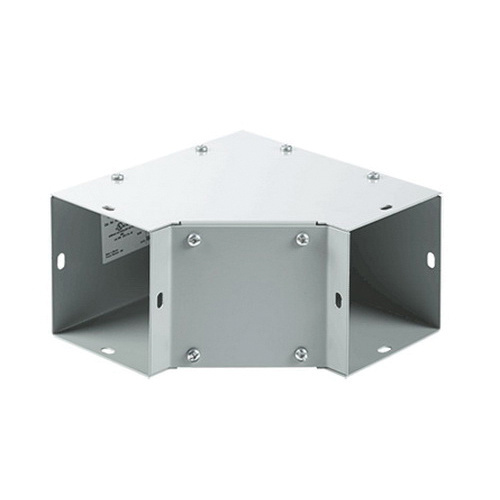 The wireway elbow with a trade size of 12-Inch x 12-Inch, has NEMA 1-rated enclosure for safety. It is suitable for type 1 painted flat-cover lay-in wireway. Wireway elbow meets UL 870, E27524, cUL, CSA C22.2 No.26, E27524, NEMA/EEMAC (Type 1), IEC 60529 and RoHS standards.